MILLBROOK — When standout Millbrook junior forward Erin Fox got an offer to play basketball for Marist College 11 months ago, she didn’t think twice about attending another school. Since Fox was young, she always wanted to go to school there. She grew up attending Red Fox games and participated in the yearly basketball camps. Despite having five other Division I offers, she always knew Marist was the perfect fit for her. Most basketball players wait until their senior season to commit to play basketball in college, but she knew Marist was the right fit for her all along. Being recruited by many schools can be draining for some players, including Fox. She’s happy that the process is over and that she found the place where she’ll be continuing her education and basketball career after Millbrook. Fox has been a big part of the Blazers recent success, which includes 31-3 record in their last 34 games, and a Class C state title last season. She’s averaged 20.5 points, 10.5 rebounds and 1.8 blocks per game over the last two seasons. Fox blocking a shot against Highland in a game earlier this season. Fox is now the third Section 9 player to commit to a Division I basketball program in the last 12 months. 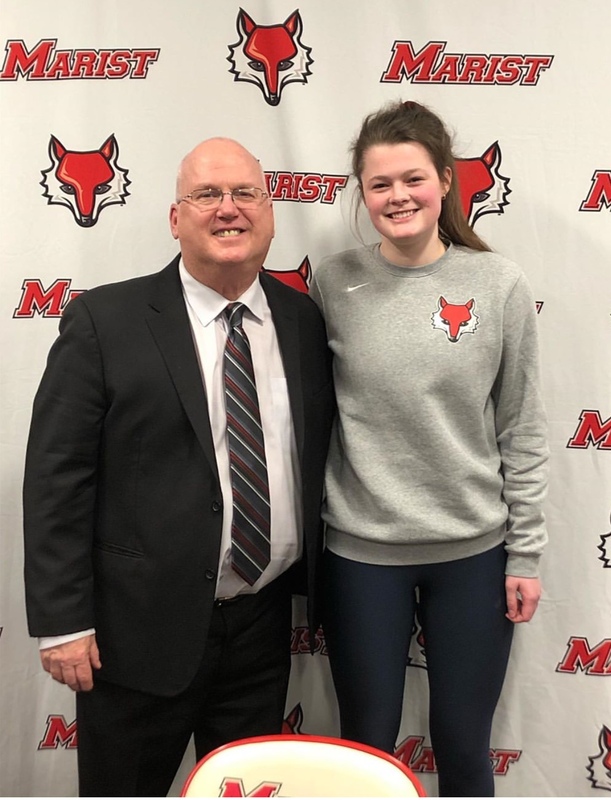 She’ll join former Monroe-Woodbury forward and Marist sophomore Willow Duffel on the Red Fox roster at the beginning of the 2020 season.